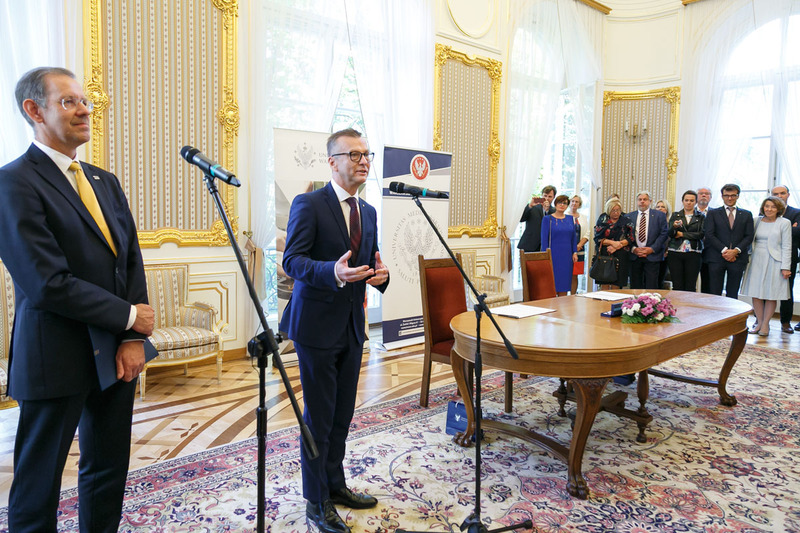 On October 16, the signing of a letter of intent regarding the establishment of a federation relationship between Medical University of Warsaw and University of Warsaw took place at Kazimierzowski Palace. This rapprochement will result in better use of each university’s potential. Together, the knowledge and experience of specialists from both universities and access to both universities’ infrastructure will lead to conducting more extensive scientific research projects that address the challenges of today’s world. 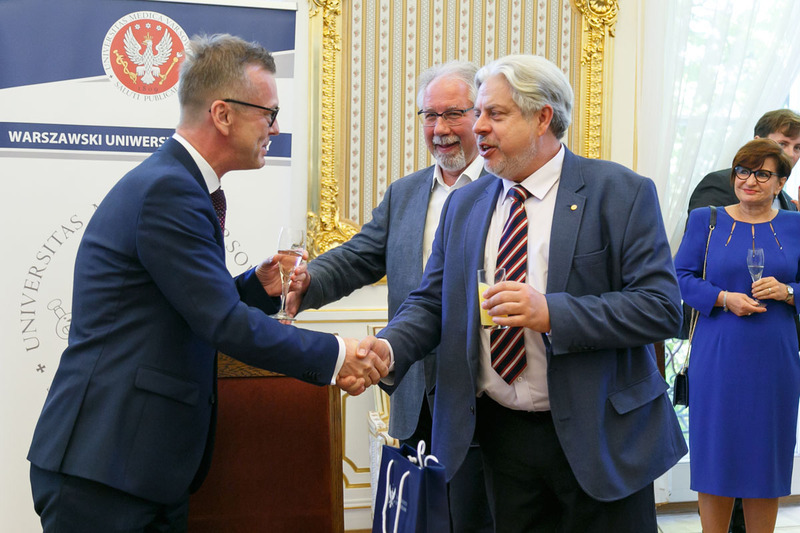 Prof. Marcin Pałys, Rector of University of Warsaw opened the meeting by saying, "University of Warsaw and Medical University of Warsaw need each other: a university without medicine is lacking while medicine without other sciences doesn’t advance as well." 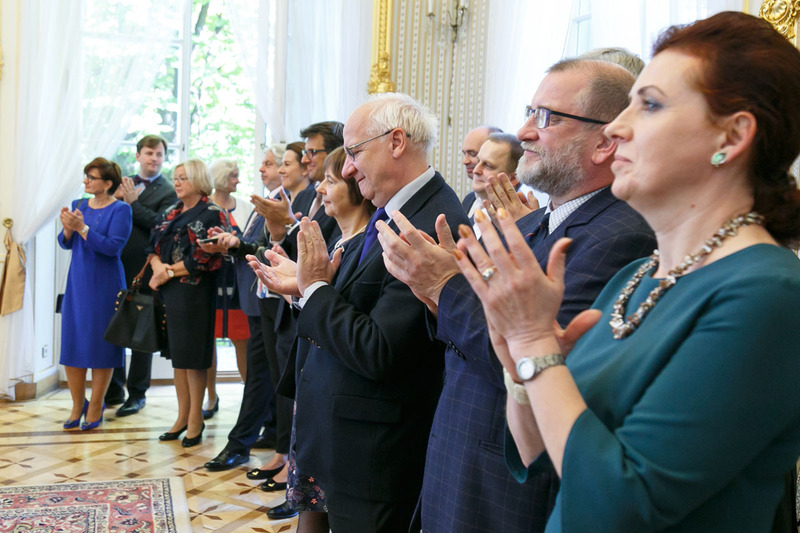 Rector Pałys continued, “our goal is to develop our scientific cooperation through joint grants and research projects; to improve teaching of undergraduate and doctoral students by admitting University of Warsaw students to Medical University of Warsaw lectures and optional courses, and offering University of Warsaw language courses to medical students. 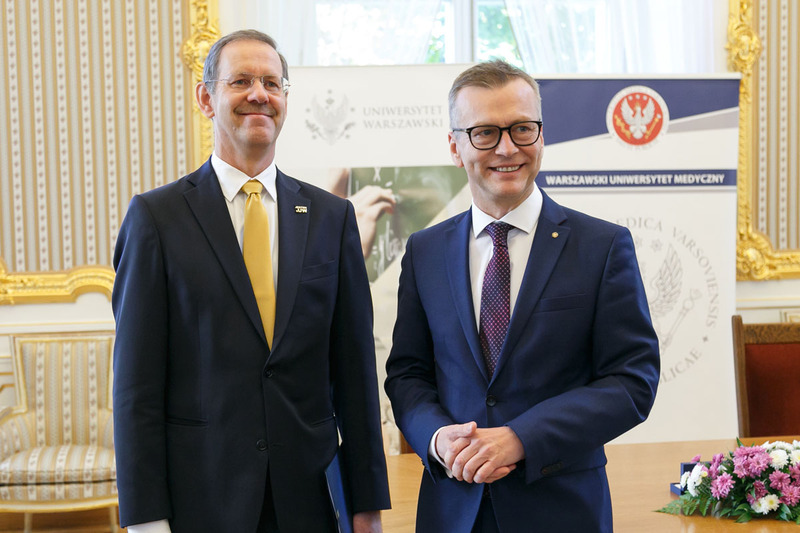 Other plans include new postgraduate programs, individualized study programs for best students and joint interdisciplinary study programs.” Rector Pałys added that he and Rector of Medical University of Warsaw, Prof. Mirosław Wielgoś, would also like to develop a joint doctoral school system tailored to today’s demands that recognizes the importance of both interdisciplinary and distinct research activities. Both Rectors underlined that the main benefit of federation will be the advancement of both universities in national and international rankings. 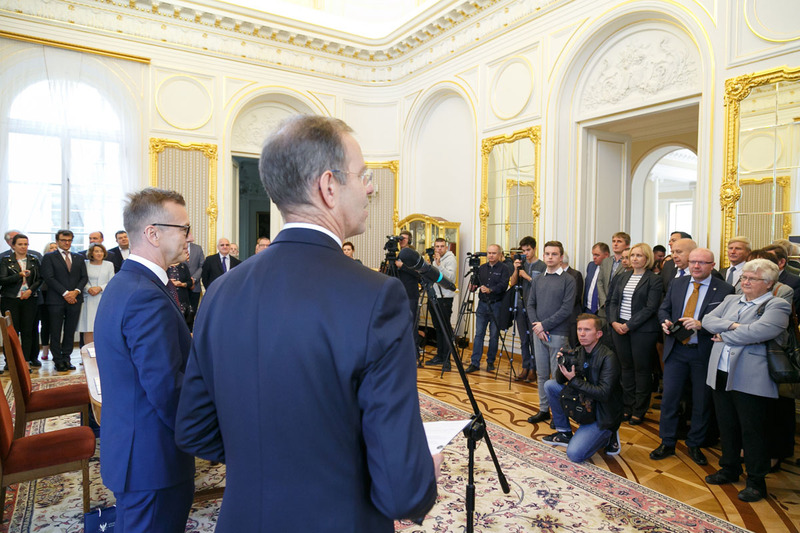 Rector Pałyś also added, "by conducting joint research, we increase our visibility in the world. 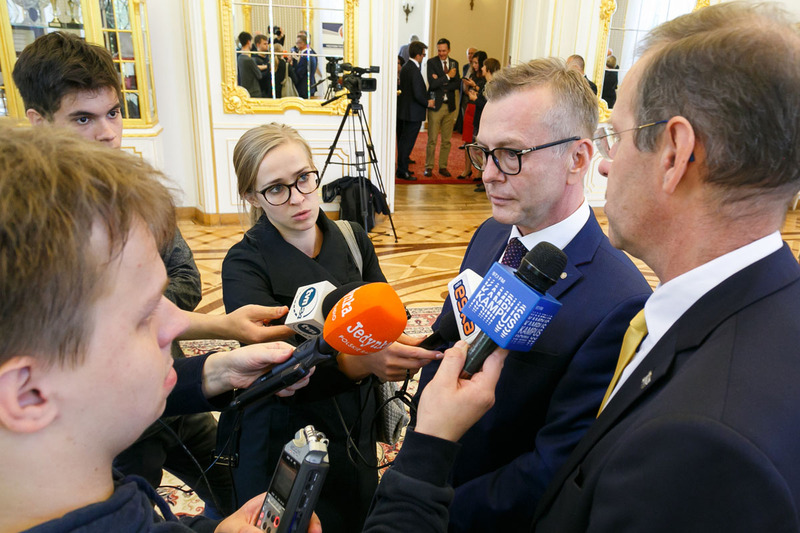 We want our interdisciplinary programs to attract the best students from all over the world to pursue their ambitions at our Universities.” Rector Wielgoś said, “Act 2.0 gives us the opportunity to pursue federation, a means of maintaining independence while being evaluated as a single university. " 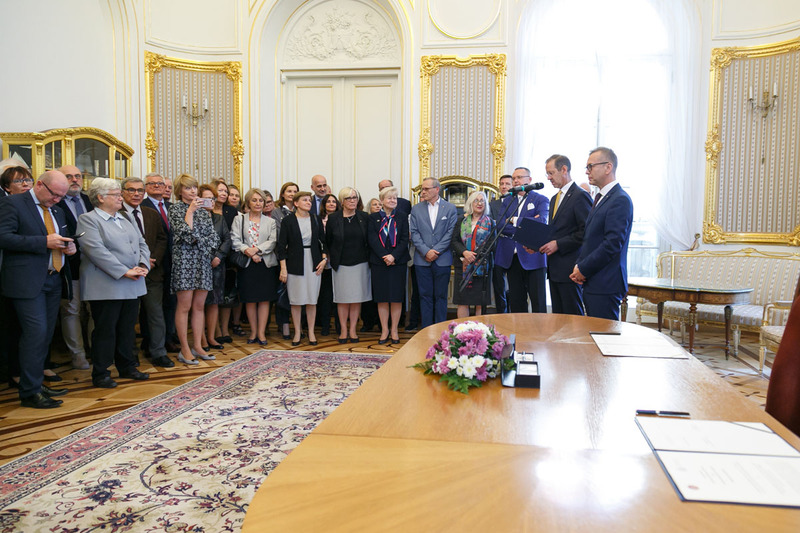 Medical University of Warsaw and University of Warsaw federation is to begin in October 2019. In the meantime, however, both Universities have already started to collaborate more closely on research and teaching this past academic year. 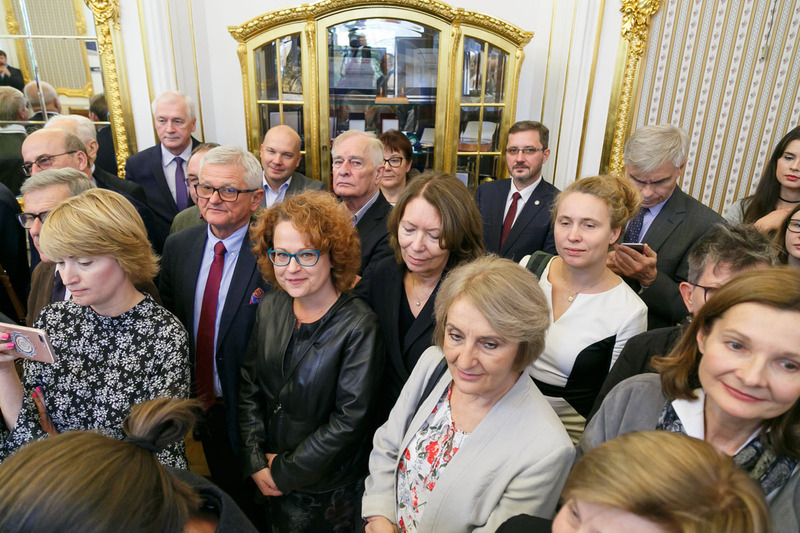 Since November 2017, representatives of scientific, natural and medical disciplines, as well as, law, bioethics, logopedics, management and medical history, met on several occasions to discuss cooperation. 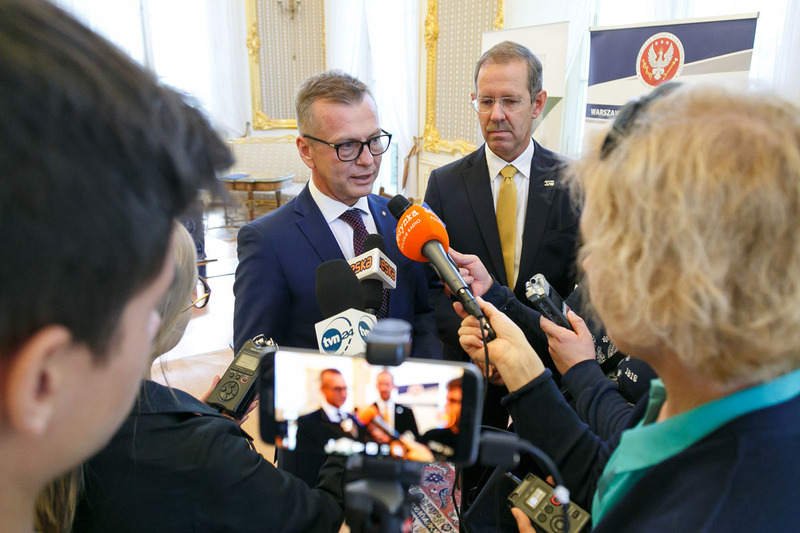 As of October 1, Medical University of Warsaw and University of Warsaw have launched the micro grants program which gives employees and PhD students the opportunity to apply for grants financed by external funds. 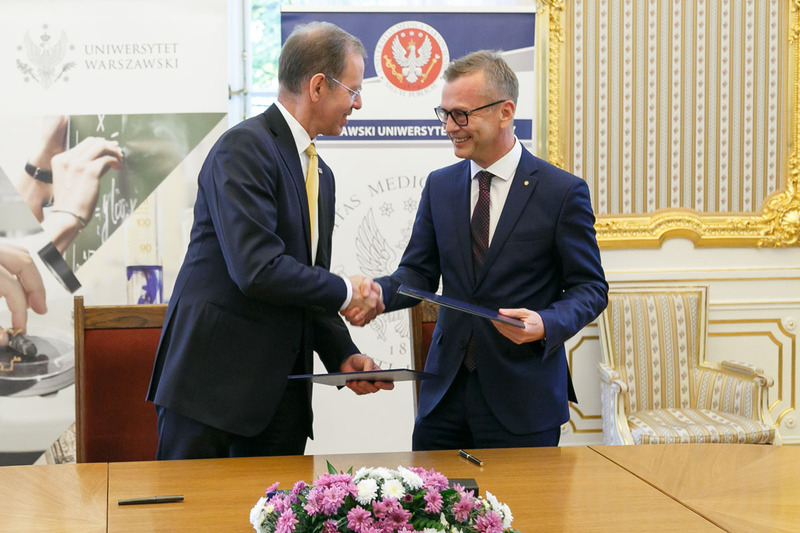 In January 2018, both universities signed an agreement to launch a pilot program of inter-university elective courses. Students from Medical University of Warsaw and University of Warsaw were able to attend specific courses offered by the partner university. Classes were held in the summer semester 2017/2018. In the new academic year, the number of elective classes will grow. 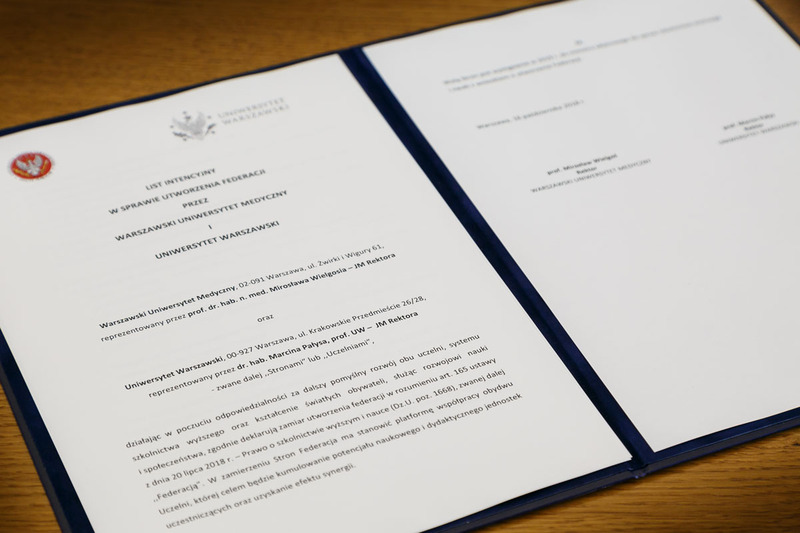 Students and doctoral students of both universities will be able to participate in classes organized by the University of Warsaw Incubator. 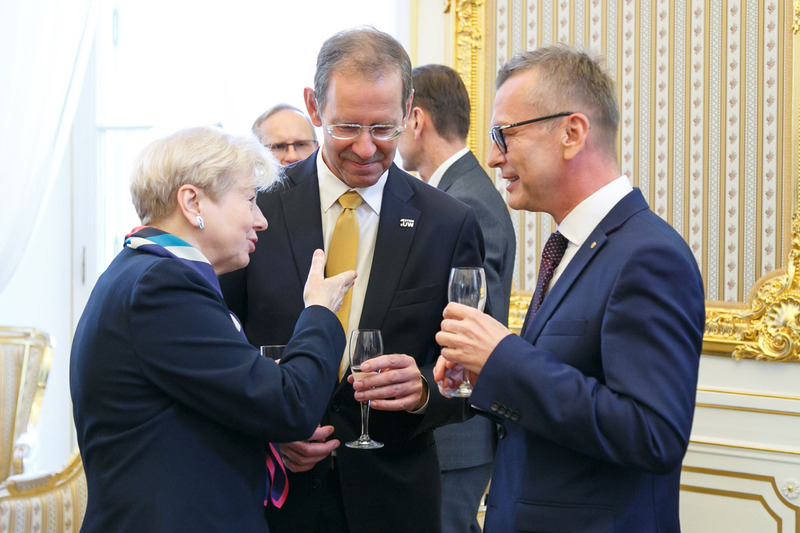 Warsaw Medical University and University of Warsaw have common roots. Until the 1950s, studies in medicine and pharmacy were offered at University of Warsaw. In the spring of 1950, state authorities removed the Faculty of Medicine and Pharmacy from University of Warsaw. Then, the Faculty of Medicine and Pharmacy founded the Medical Academy - today's Medical University of Warsaw .